A motorcyclist drives in downtown Indianapolis. Indiana traffic safety officials hope last year's increase in motorcyclist fatalities isn't the start of a trend. Intoxicated driving and a lack of rider training were among the reasons 144 people died in motorcycle crashes last year according to a report released this month from the Governors Highway Safety Association, a nonprofit that compiles national data on traffic safety. The 144 deaths in 2017 are an increase from 100 fatalities in 2016, and the most motorcyclist deaths in Indiana since 2012. A 2018 report from the Indiana Criminal Justice Institute, which monitors state crash statistics to identify ways to keep roads safer, shows the increase in motorcyclist deaths comes after a two year drop in fatalities. Motorcyclists comprise a relatively low number of deaths when it comes to the state's total motor vehicle fatalities -- 12.3 percent, the report states. But the year-over-year percentage increase in motorcyclist fatalities from 2016 to 2017 was the highest in the nation. "We started to see an uptick in this trend during the riding season, which we're in right now," says Will Wingfield, spokesman for the Indiana Criminal Justice Institute. "That's something we don’t want to see." Wingfield says there are two likely contributors to last year's rise in fatal crashes. Unendorsed riders, those who haven't completed proper safety training and demonstrated riding skills, are overrepresented in the crashes, according to the state's traffic safety report. And the number of drivers, both of motorcycles and cars, with a blood-alcohol content above the legal limit involved in fatal crashes has increased since 2014. 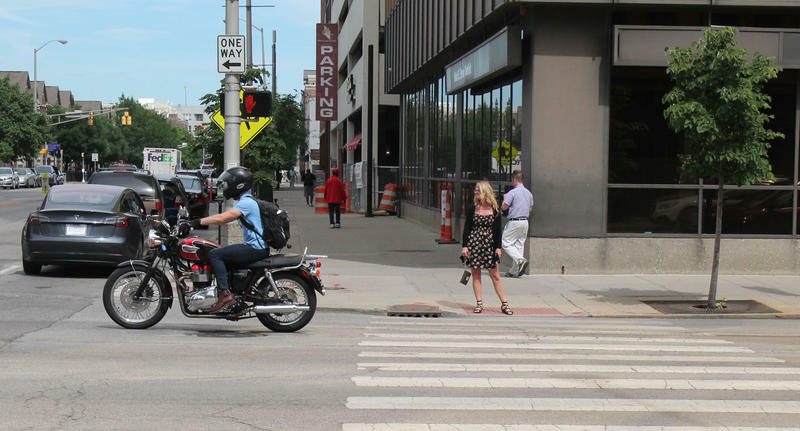 Michael Tockey, the owner of Indianapolis motorcycle shop Speed City Cycle, would add another culprit – distracted driving. "If it were up to me, I would disable the text function on a phone while it's in motion," says Tockey, who has been riding motorcycles for 47 years and has owned Speed City Cycle for 17. Wingfield says distracted driving numbers are probably underreported. Typically the only evidence of a driver not paying attention is when the driver admits they were distracted, he said, which a driver often doesn’t tell police. In April, the Indiana Criminal Justice Institute spent about $100,000 on a distracted driving awareness month campaign, Wingfield says. Tockey also says the numbers could be skewed by the state's broad definition of "motorcycle." Scooters and mopeds, which are class B defined motor driven cycles, are lumped into the total motorcycle fatality data. While moped and scooter drivers need to register with the Indiana Bureau of Motor Vehicles and must have state identification, these riders don't need a driver's license. This means a driver with a suspended license after a drunk driving arrest could be right back on the road on a scooter or moped. "They're still drinking and they're still riding," Tockey says. Because mopeds and scooters have to be registered with the BMV, Wingfield says the state has a rough estimate of how many are on the road. Safety equipment could also factor in the jump in motorcyclist deaths. More than half of the riders killed in 2017, 89 people, were not wearing helmets, according to the annual traffic safety report. That's the highest number since 2014, after fatality rates of drivers not wearing helmets dropped three straight years. In Indiana, helmets are only required by law for minors and those who have a motorcycle learner's permit. "We just appeal to people's personal responsibility in terms of looking out for themselves and their families who care about them," Wingfield says. As the summer riding season continues, riders like Charles Boomershine, a technician at Speed City Cycle, say it's important for motorcycle riders to not be aggressive and for car drivers to stay alert. "Use your mirrors and your neck muscles," Boomershine says. "Any size motorcycle can fit in a blind spot." 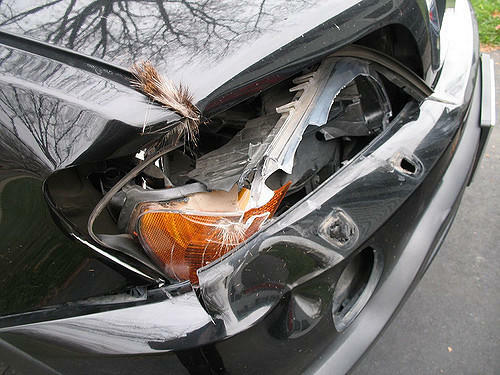 The odds of colliding with a deer while driving in Indiana are increasing, according to a study conducted by State Farm Insurance. In 2016, State Farm says Indiana drivers are 5-percent more likely to collide with a deer than they were last year. The data is based on claims data from the insurance company.